Latest progress on the new Craftsman style home currently being constructed by Childress & Cunningham. 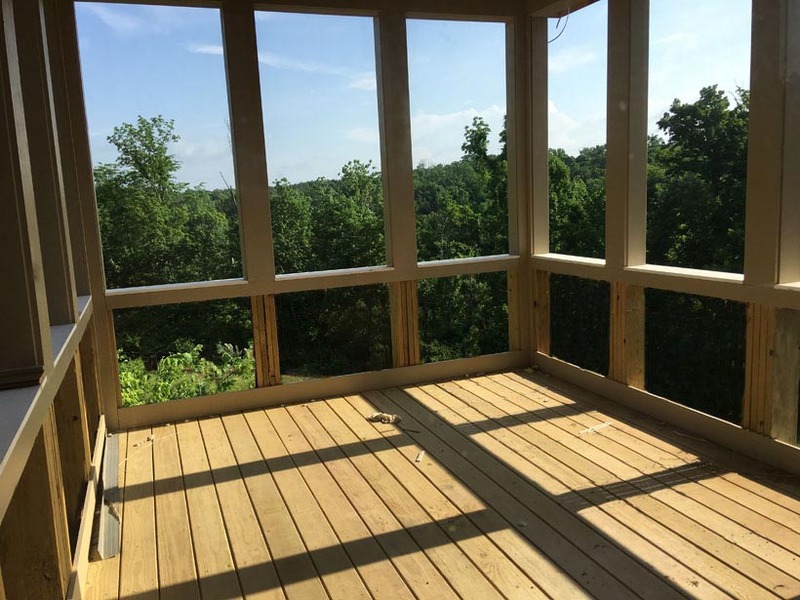 Above is a screened porch designed to take full advantage of the views of the wooded site. 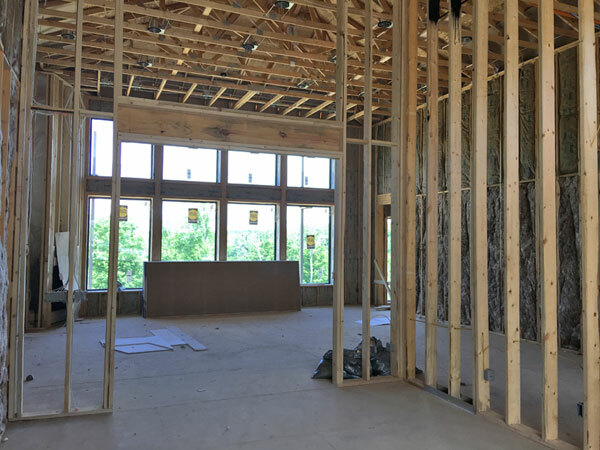 Below, the dining room flows into a view of the dramatic new great room with high ceilings accommodating a stunning high wall of glass welcoming in the views. The last photograph illustrates one of the advantages of Childress & Cunningham’s integrated construction management approach. 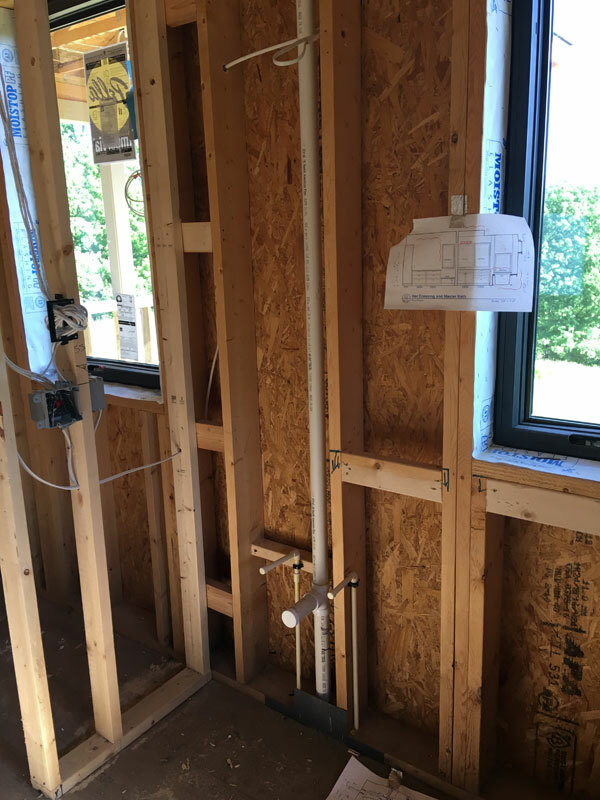 Interior elevation drawings of cabinetry and other features updated by the client are posted on site at appropriate locations to show contractors new modifications quickly, even before updated drawing sets are downloaded. Posted in News Projects Reasons to Select Childress & Cunningham, Architects Single Family .